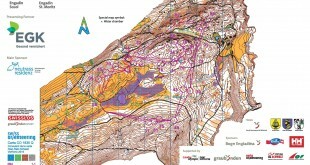 Home / Orienteering News / WoO Fantasy World Cup 2011: Join in on the fun! WoO Fantasy World Cup 2011: Join in on the fun! Jan Kocbach June 15, 2011	Orienteering News Comments Off on WoO Fantasy World Cup 2011: Join in on the fun! New year – new rules – more fun! The World Cup starts the following Thursday at the Nordic Orienteering Tour, and it is now time to set up your own Team of Elite Runners, and follow them through this years World Cup. The WoO Fantasy World Cup is a ‘for-fun’ manager-type competition where you can set up a World Cup Team consisting of 10 runners (either men, women or a mix), and get points according to their performance. New in 2011! Your team must contain two runners outside the ‘Red group’ – thus giving room for some more tactics. Set up your Fantasy World Cup team here – last chance ahead of the first World Cup race is Thursday June 16th 09:00 CET. Disclaimer! This is a very experimental ‘for-fun’ service, and errors may (and will) occur. Only runners who were top 500 on the World Ranking as of June 15th are to be included on your team. The red group is defined by runners who were inside the Top 50 on the World Ranking as of June 15th. Take it for what it is, and have fun with it! Choose a Team consisting of 10 runners (you can choose arbitrary number of men/women). 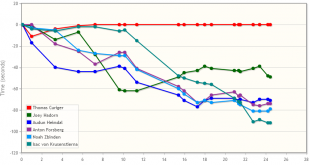 Of the top 10 in your list, 2 runners must be outside the red group, i.e. marked with **. If you have no runners outside the red group in your team, only the 8 first on the list will give you points. The red group was defined as runners inside the Top 50 on the World Ranking event as of June 15th 2011. Runners in the red group may change during the season. If changes to the ‘Red group’ are made, this will be announced via e-mail. Last chance to change your team ahead of each World Cup race is given in the overview table here. Note! This is a very experimental ‘for-fun’ service, and errors may (and will) occur. 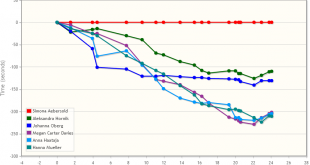 Calculation of points will be done after each World Cup round – but you may change your team ahead of each competition. See the complete rules – and register your Team here!. Below you see the participants for NORT 2011 (as of June 14th 22:00 CET) compared to the Top 100 World Ranking list. As you see, many top names are missing – but there will still be a tough fight for the top positions. According to the NORT webpage, in the mens class all the top 10 runners from last year are coming this year. In the ladies 7 of the top 10 are going to fight about the prize money. Previous Finally! 3DRerun open to everyone! Next Nordic Orienteering Tour: All you need to know!